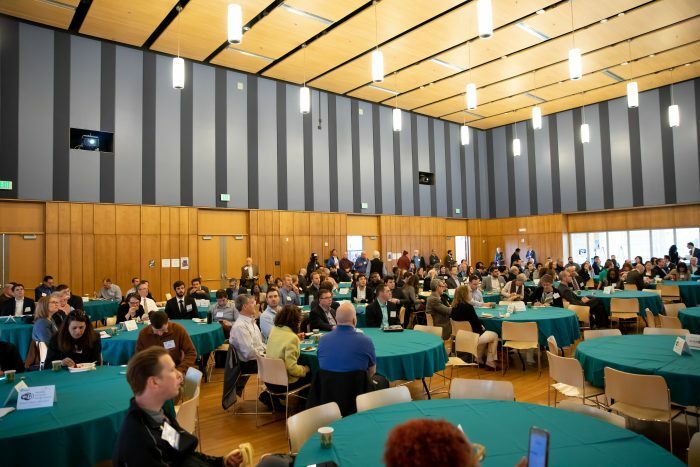 The sixth annual Montgomery County Energy Summit—the largest in the event’s history—was held on Wednesday, April 3, 2019, at the Silver Spring Civic Building. 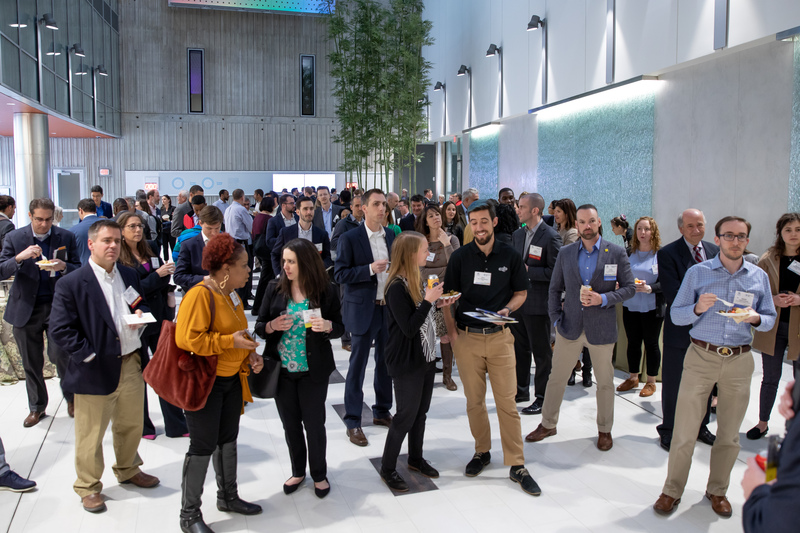 The event attracted approximately 315 attendees composed of building owners, property managers, energy contractors working in the County, young professionals in the energy field and those interested in sustainable commercial buildings. 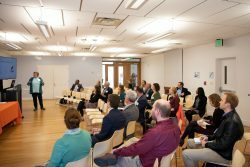 The zero-waste summit was hosted by the Montgomery County Department of Environmental Protection (DEP) and the U.S. Green Building Council – National Capital Region (USGBC-NCR) and featured workshops on innovative case studies, building commissioning approaches, renewable energy technologies, green building financing opportunities, sustainable building strategies and County and other regional commercial energy efficiency programs. It opened with welcoming remarks by USGB-NCR Director, Mark Bryan, who thanked event sponsors, contributors and organizers. 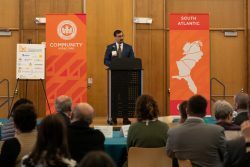 Bryan also reminded the audience of the importance of this year’s theme – “Focus on the Here & Now” – before introducing Adam Ortiz, Director of the Montgomery County DEP who gave an overview of the County’s sustainability priorities from the Department’s perspective. 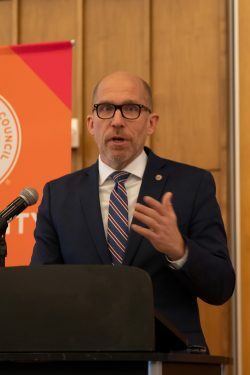 Next, Montgomery County Councilmember Tom Hucker gave an overview of the County’s current and future energy-centric initiatives before introducing keynote speaker, Senior Vice President, Product, Arc Skoru, Chris Pyke. Councilmember Hucker’s remarks confirmed the County’s commitment to carbon neutrality by 2035, and referenced actions that will help us achieve that ambitious goal – Commercial PACE for New Construction projects, expanding the County’s benchmarking requirements, and increasing solar energy generation in the County. 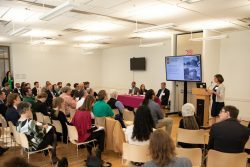 The dynamic keynote address covered the past, present, and future of green buildings and their connection to greenhouse gas emissions. Pyke’s focus on the “here and now” included reminding the audience how buying clean, renewable energy “now”; using rating systems deliberately and effectively; measuring operational performance and making sure our buildings are good grid citizens could be done to promote energy efficiency. 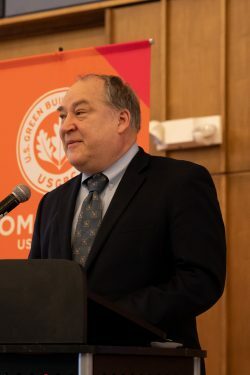 Before attendees went to the breakout rooms for educational sessions, County Executive Marc Elrich highlighted a few simple things he implemented personally to live more efficiently -– such as sub-panel insulation and new windows –- and encouraged others to do the same. Peter Gourlay, RMI of Maryland’s VP and Energy Program Manager and member of the Challenging the No: Finding Energy Efficiency Opportunities in Manufacturing Facilities, panel said that participating in the Summit will help his company achieve a major goal. 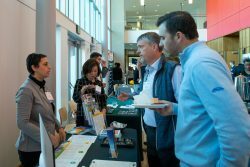 Between sessions and during breaks, attendees got an opportunity to network and visit over 20 exhibit tables, including CLEAResult, an organization that designs, plans, consults, and implements technology-enabled energy efficiency solutions and services. “Exhibiting at the Summit helps us directly reach the consumer, educating them on incentives and empowering them to make decisions that will ultimately save time, money and energy,” said company Account Manager Edouard Sanchez. Thank you to the event sponsors and exhibitors! 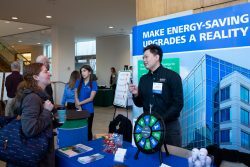 View the 2019 Energy Summit Sponsors on the Energy Summit website. 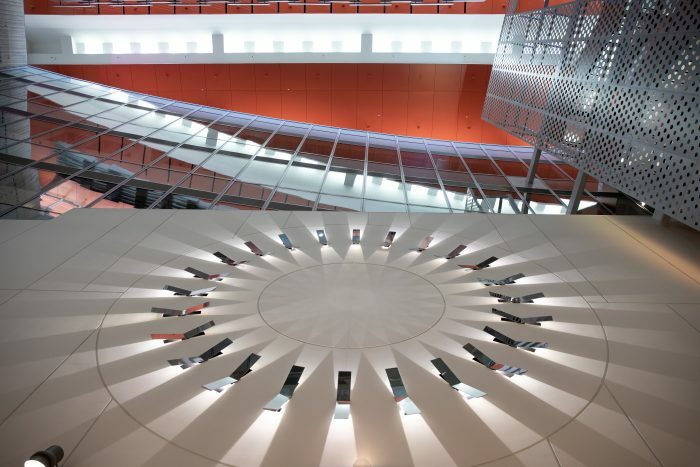 The Summit ended with an evening reception at United Therapeutics’ Unisphere, the company’s newest net-zero energy building. 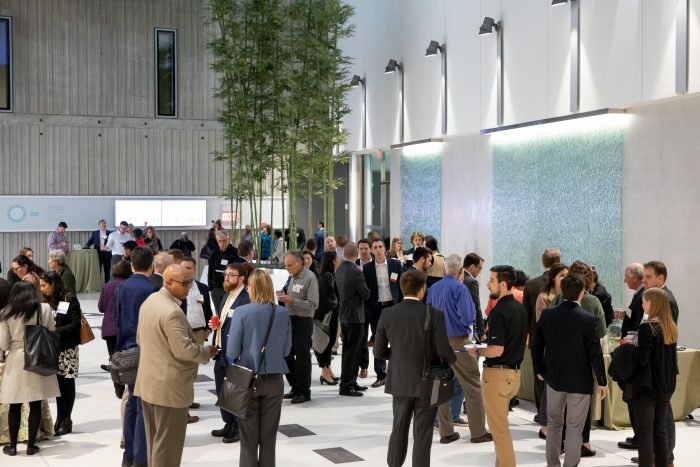 Attendees networked and discussed the building’s architecture, solar array, and thermal pool while enjoying fare by Green Plate Catering—a Montgomery County Certified Green Business. Mark Bryan and United Therapeutics Construction and Real Estate Program Manager, Andy Campbell reflected on the day and thanked everyone who participated. “The Summit is good ground for bringing like minded people together to gain better knowledge on what’s cutting edge, what’s developing and what can be done,” Campbell said. What did he consider to be the attendee take-aways from the Summit? “New ideas, new concepts and new goals,” he said. 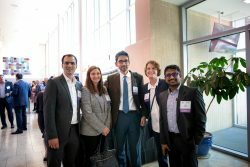 See all photos from the 2019 Montgomery County Energy Summit on Flickr. 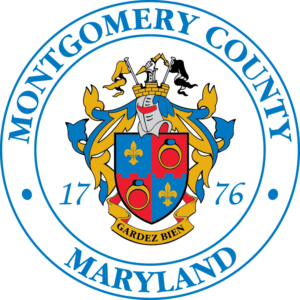 Mark your calendars for Wednesday, April 1, 2020 and Thursday, April 2, 2020 for next year’s Montgomery County Energy Summit, where an expanded event will feature more education sessions on both commercial and residential energy issues and solutions. Bookmark MCEnergySummit.org and check back for additional details.